Some of you might remember my first webinar called “The Publishing Jungle” … I recorded it not long after launching Redemption Press, to point out some challenges in the industry where organizations who call themselves Christian publishing companies use terms that mean one thing in the industry (which is positive) but they mean something totally different when used by a vanity publisher. Several companies I challenged in that video are no longer in business, and rightly so. But what I’m finding out is people who used to work for those companies have started new companies, and are perpetuating the same lies and deception, while calling themselves a Christian company! Now I don’t know … maybe because I’ve been betrayed more than once by those who call themselves “Christians” or “Pastors” perhaps I’m overly sensitive? But I believe Christian authors deserve the truth and should not be taken advantage of. Sometimes I almost feel like a Consumer Advocate or Industry Watchdog. 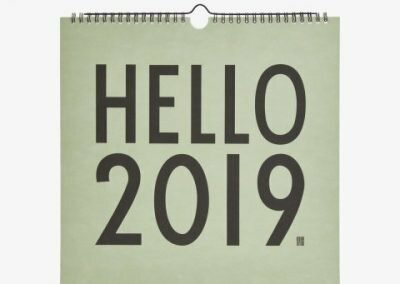 In over thirty years of being involved in the Christian publishing industry, I’ve watched trends change, the landscape of publishing shift dramatically, technology provide new avenues of opportunity, and the acceptability and value of independent / self / custom publishing skyrocket. At the same time, I’ve seen in spades, so much hype, aggressive and predatory sales tactics and outright lies and deception grow to incredible levels. 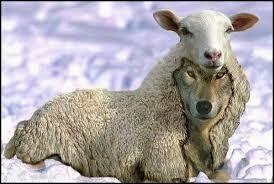 There are too many wolves in sheep’s clothing in this industry. Sad to say. So, I’m going to give you the 10 things to look out for so you aren’t easily duped. 2. Aggressive sales tactics: Companies who hard-sell their services. If sales people are pushy, using “today only” wording to encourage you to decide without praying first, doing your due diligence and comparing other publishers, cross them off your list! 3. 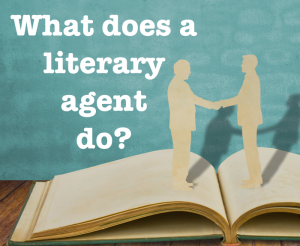 Companies charge for publishing services but call their salespeople “literary agents” or call themselves a royalty publisher but require that you buy 2,500 copies. I talked a lot about what I called “Posers” in my publishing jungle webinar … if a company calls themselves a royalty publisher but requires you buy a huge quantity in order for them to take you on, that’s deceptive! One large “Christian” publisher is now calling his salespeople “literary agents.” More on that later. 5. Contracts that charge you for making your book returnable. 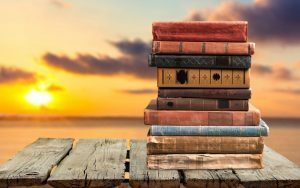 Setting your book as returnable or non-returnable costs the publisher nothing, so you should not have to pay $800 for the privilege of your book being listed as such. You should not be required to buy a large quantity of books to receive a decent price per copy. This model in publishing ends up marking the printing prices up by 100-200%! 7. The publisher quotes you for publishing services before they ever look at your manuscript to confirm the word count and writing quality of the manuscript. A sure-fire way to know if the publisher really cares about you as an author or your message is for them to quote you prices without ever seeing what you’ve written. This means all they are interested in is your money and they don’t want anything getting in the way. If the publisher says editing is “included” with no parameters as to maximum word count, then the editing you will receive is simply running the manuscript through a software program, not having a human who is a Christian reading your manuscript and making recommendations and corrections. 8. The salesperson promotes a quality published product with custom cover and interior, but the contract says you receive one cover comp and any additional comps requested cost extra money. Oftentimes the charges for changes to the initial cover or typeset text are exorbitant. Be sure to check the fine print! 9. The company charges more than $500 for a book trailer with voice over. 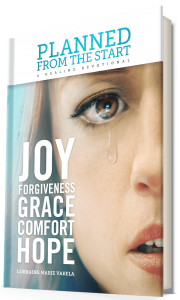 Many vanity type Christian publishers include that your book trailer will be promoted to a film producer to create interest in your story…to the tune of an extra $3-4,000, which is a total waste of money. 10. The company offers marketing packages that range from $5,000 to $20,000. Marketing and promotion must be determined on a case by case basis. There is no such thing as a strategy that works for every author and every genre. Any company promoting this kind of option is predatory and should not be trusted. Your books was recommended to us by our Book Scouts. We have validated that your brilliant book has the potential and our goal for your book is to be recognized or acquired by specific decision-makers like traditional publishers, bookstores, libraries who will be able to help you reach out to your target audience to increase returns. Your book is sure to capture a lot of attention this coming 2018 New York Rights Fair in New York, NY dedicated for books like yours and positively we will be able to give them the same impression as we have realized to entice investors for your book. I’ve seen the same hype sent to multiple authors, even though each one was meant to feel special and singled out. Then there’s the literary agent scam. When I saw that come across my LinkedIn account my jaw dropped. 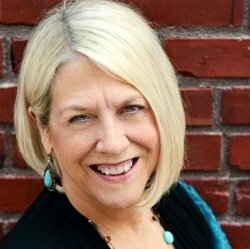 A salesperson for this vanity Christian publisher calls themselves a literary agent? How can anyone be so deceptive and call themselves a Christian? Of course, I know the answer … it happens all the time. 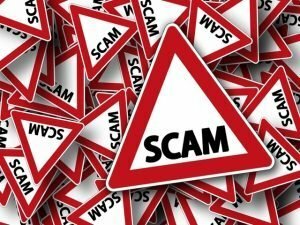 A company’s whose owners were jailed for embezzlement and consumer fraud employed the person who started the company using this very deceptive tactic. I guess that shouldn’t surprise me, since the out of business company used to call themselves a “traditional publisher” when they charged a $5000 marketing fee. Do you see what’s wrong here? This company is using a term that is well known in the industry to establish credibility and suggest that they are representing the author to traditional publishers to land them the best deal possible. However, when someone who works for a company that charges for its publishing services, that term is being used in a completely different sense, to mislead unsuspecting authors. This is a person who sells this company’s publishing services to the author, not one who is pitching their book ideas to traditional publishers! It is a LIE and they should be ashamed of themselves. Now, am I saying Redemption Press is the only trustworthy publisher out there? Am I saying all literary agents are suspect? Deep River Books owned and operated by Bill & Nancy Carmichael. These are not only people I know, but those whom I know have a personal relationship with Christ and the way they do business shows it. But I would NEVER, EVER recommend companies who call themselves “Christian” publishers but use any of the tactics I list above. I can tell you this, the 3 companies I list above do nothing of the sort. Now, while we’re at it, here are some names of legitimate literary agents – these are not salespeople who call themselves agents, these are literary agents who make their living finding authors homes with traditional publishers, and make a percentage from the advances and royalties these authors earn … and these are folks I am proud to call “friend. But I would NEVER, EVER recommend a literary agent who charges a reading fee, or when they can’t get you a deal with a royalty publisher wants to charge you 15% on whatever you sell by self-publishing with Create Space! I’m telling you, it never ceases to amaze me the lengths that some people will go to sound credible (hanging out an “agent” shingle) just to gain your trust so they can then take advantage of you. So, what’s my bottom line? BE CAREFUL! Don’t just believe what someone tells you on the phone is really going to be in the contract. Actually read the contract before you agree to publish with a company. Ask questions! 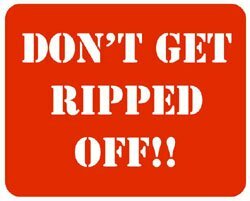 If they are giving you a big discount up front, what do they charge on the back end for author copies or pay out in “royalties”? Are they quoting you the correct word count on your contract? Are they throwing around best seller status or see your book on the big screen? Does it sound too good to be true? If you’re looking for a partner in publishing, then look for someone with integrity. Honestly, it’s a little embarrassing to have our authors offering such kind words about me and about our team, but I’ve just addressed an ongoing topic I continue to watch in the “Christian publishing” arena and it really troubles me. That’s why I think it’s worth sharing these authors’ feedback on working with us. These are not only kind words, but they speak of the reputation I’ve built over the last three decades, and it’s important to me to be known for telling the truth. 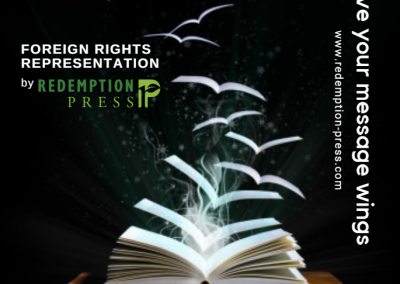 So, as you do your due diligence and try to determine the best fit for you and your book, we hope you’ll prayerfully consider Redemption Press. We only want the authors that God has chosen for us … we want to be your answer to prayer!